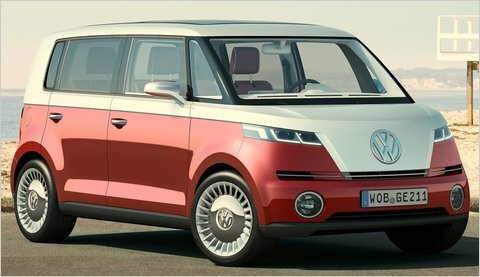 VW has released a concept van, the VW Bulli. It is supposedly the descendant of the original VW Microbus. No, it's not. As Click and Clack said, the VW Microbus was a bed with wheels. Until they make a three-bench version, it's not a Microbus. Even so, I like it. It tempts me like few cars have. I even dislike hybrids, but I could live with it for this one.